The time has come... The music cape is here. Alongside it we also have fully customisable F-Keys and, as always, lots more. Let's get into the details of this week's update. The music cape has been a request in RuneScape for some years. The day has finally come and very well traveled Old School players can now get their hands on the mighty cape. Visit Olaf the Bard in Rellekka to purchase yours. He charges 99,000 coins, like other capes. To equip the music cape, you must have unlocked all the music tracks except for the holiday event tracks. Along with the cape comes the air guitar emote. The air guitar emote is unlocked when you first purchase the music cape. You do not need to have the music cape equipped to perform the music emote. F-Keys are now fully customisable. By opening the menu found in the settings tab you can now have full control over which of your F-Keys opens each of your side panels. From here you can decide which F-Key you would like to open each side panel as well as whether or not you would like the Esc key to close any interface you currently have open. 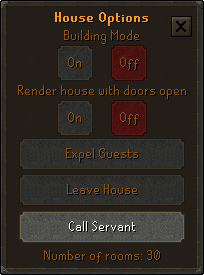 When in your player-owned house, it is now possible to call your servant using the house options menu found in settings. In order to use this option you must first have a bell pull placed somewhere in your house. A game engine bug affecting the retaliation of ranging/maging NPCs has been fixed. In particular, this affects Venenatis and Vet’ion and their behaviour when they have moved far from their spawn points, so it will make certain safe spots considerably less effective, and will have similar effects on other NPCs with long-range attacks. The graphics for the tunnel entrances under the Port Sarim and Draynor wall are now the correct way round. The robin hood hat no longer clips with a certain hairstyle. 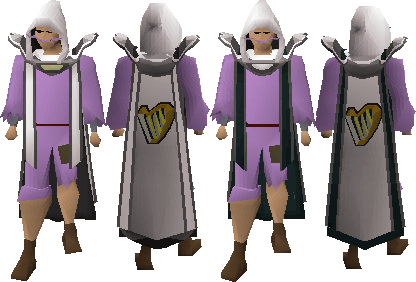 The inventory model for the mime top now has white stripes again. A couple of typos in the WWF Big Cats event have been fixed. Doing Barrows in fixed screen mode no longer causes your hitsplats and overhead chat to appear distorted. Certain actions are no longer permitted while dueling at the duel arena. Some more skilling messages have been added to the spam filter. The boulder at the Wilderness God Wars Dungeon entrance has changed how it treats damage that is queued on you as you pass through it. Players will no longer sea the trident of the see during the charge animation for the trident of the swamp. hype Achieved 2277 total on August 5th 2014.
during the charge animation for the trident of the swamp." Will vetions drop table be buffed atleast? Now the safespot is removed, it will take much more food to kill it + higher stats.